Blockchain technology is the foundation of cryptocurrency. Below is a quick beginner’s guide to blockchain and the ramifications this innovation is having across nearly every industry. In a simple definition, a blockchain is a sequential, immutable, continuously growing chain of records known as “blocks.” It is a public ledger; a way to structure and track data in a transparent, incorruptible way. One comparison is a book that is continuously updated with new pages, with each block representing one page. Each block has information and a timestamp, equivalent to the text and page numbers of a book. New blocks are added at the end of the “book” to link all of the blocks together. Cryptography is used to secure any information that is added to the blockchain. This is a method of disguising (encrypting) and revealing (decrypting) information using complex mathematical algorithms. Cryptography is primarily used in blockchain to ensure that prior records cannot be tampered with and to protect the identity of those involved in transactions. Blockchain records are public and can include any type of data. Instead of the traditional storage model where data was centralized on just one or two servers, it is distributed thousands of times across networks of computers. The blocks are also synchronized and updated in real time. Every new block must be validated across the entire network. Because of this wide distribution, you can’t just erase the blockchain or modify a part of it without alerting the whole system. It is similar to a single shared public document on Google Drive that multiple computers have access to. If an edit is made, everyone immediately sees exactly what was edited and by who. As a result, those who utilize blockchain systems can have a greater level of confidence in their security and validity. This adds an unrivaled level of data integrity and security to the applications where the technology is currently being utilized, from the widely used cryptocurrencies like Bitcoin and Ethereum to self-executing “smart contracts” which are revolutionizing the financial industry, to product tracking and logistics. The blockchain platform was invented by a person with the pseudonym Satoshi Nakamoto to be used to create, disburse and track the digital currency, bitcoin. Blockchain is the platform that allows for cryptocurrency transactions to take place, be recorded and maintained. Cryptocurrencies are the digital tokens that are used to pay for the transactions. They can be seen on the blockchain itself. New bitcoins are generated through a process called “mining” which is decentralized. This is a competitive process that involves utilizing mining software to perform complex mathematical calculations to create new blocks. Bitcoin miners must invest in specialized hardware and energy costs and are provided with block rewards and transaction fees in the form of bitcoins for their efforts. Along with producing new bitcoins, miners also secure the bitcoin network and assist with transaction processing. They can be used for transactions without requiring third parties. They typically have lower transactional fees. They often have lower inflation rates compared to traditional money. Transactions are often much faster, especially international transactions. They can be limited to a maximum number in terms of their supply. They do not have a physical form and only exists within the network. The money supply is not determined or influenced by a central bank. Cryptocurrencies are not fully anonymous, unlike cash payments. Another one of the main factors is the transparency and security of each cryptocurrency transaction compared to traditional money. For traditional transactions, there are a variety of entry points for counterfeiters, hackers, and thieves to compromise the system. The above-mentioned factors are complex to fully explain, however, at the present moment, cryptocurrencies often win out compared to traditional money when it comes to transaction costs and speed. 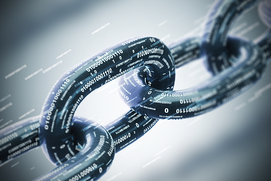 Blockchain technology maximizes transparency and streamlines often complex and nuanced processes. Because the information held on a blockchain exists as a shared public database, it is relatively simple to track transactions and changes all the way to the very beginning. Furthermore, the information cannot be omitted or changed. This is particularly useful in many industries in which transparency is desirable to lower risks of fraudulent transactions or hacking. Blockchain technology hasn’t just been utilized to create cryptocurrencies; it is revolutionizing multiple industries, from automotive to healthcare, finance, manufacturing and more. IBM’s Hyperledger blockchain platform has been used by Walmart to reduce food tracking processes from several days to seconds. Some of the world’s largest banks and financial institutions including Bank of America, JP Morgan, and Goldman Sachs have expressed great interest in blockchain technology to implement it in their banking practices to facilitate transactions, lower costs, and provide new products. Essentially, these firms and others can lower their overhead costs by utilizing blockchain to record and process transactions rather than expensive and inefficient software which can quickly become outdated in a few years. These are just a few of the potential applications of this revolutionary technology – Gartner estimates that by the year 2030, blockchain will have added $3.1 trillion in value to businesses.